Rupert Holmes looks at a selection of daysailers that will provide heaps of fun with a minimum of hassle. Daysailers cover a wide range of craft, with much of the variation depending on the criteria individual owners value most. Some opt for ease of getting afloat with minimal hassle, others for pure adrenaline and yet more for classic styling. Irrespective of budget - which might range from little more than £1,000 to well into six figure, your key priorities will push you towards particular styles of daysailer. Here’s a selection of designs that make excellent dayboats, including some that also offer protection from the elements with accommodation for occasional overnight use. 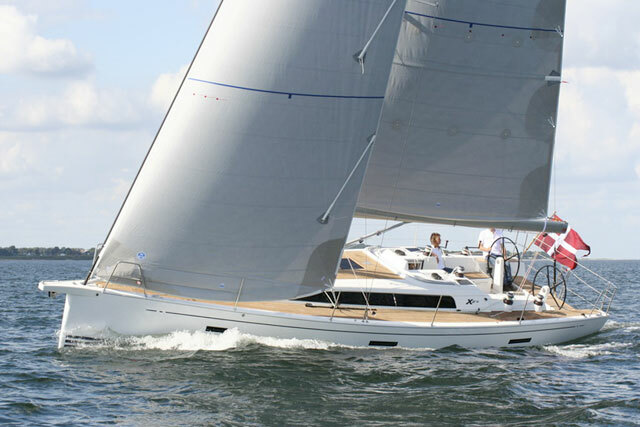 The Tofinou 8 offers fantastic sailing qualities along with stunning styling. The Tofinou marque has become synonymous with timeless and elegant lines above the water, combined with a modern underwater shape, efficient foils and an up to date rig. 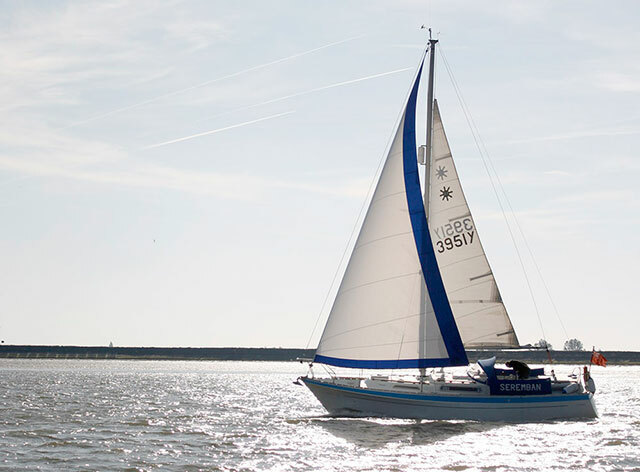 This boat is optimised to provide the best possible sailing experience, with provision for essential comforts and conveniences, such as a diesel inboard engine and provision for a toilet. Pride of ownership is a big part of the appeal and a high level of finish is part of the standard package, including a teak deck and distinctive mahogany cabin sides/cockpit coamings. The latter can be removed in winter for storage indoors and to facilitate easy re-varnishing. Although the boat is intended as a daysailer, there’s overnight accommodation that also gives somewhere to shelter from the elements if necessary while under way. There’s a chemical toilet and an option for a single burner alcohol cooker that would suffice to make coffee or heat a simple meal. 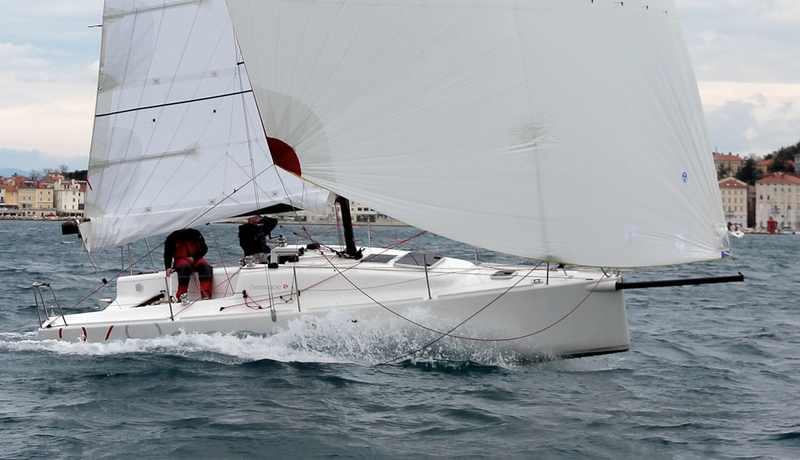 Racing keelboat classes can be a great source of dayboats that are fun to sail. 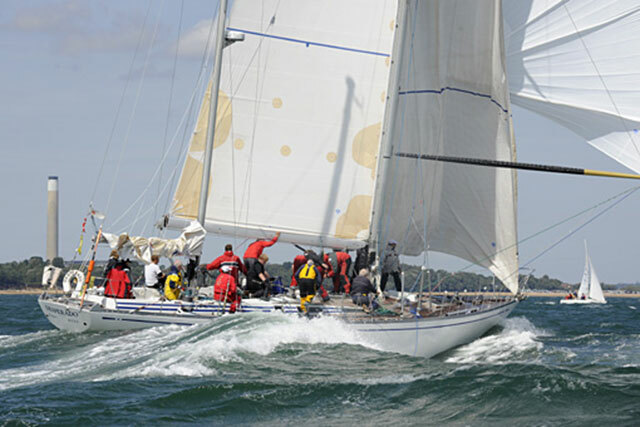 Racing keelboat classes can be a good source of dayboats. 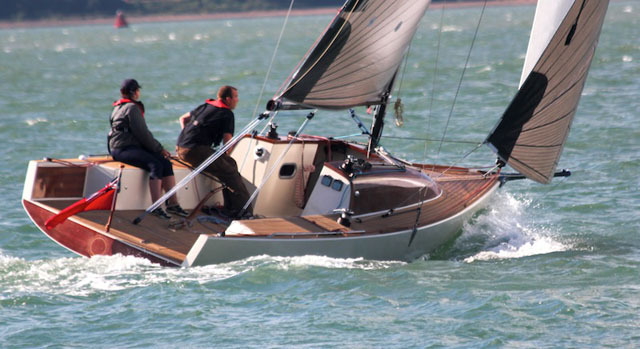 The Dragon class (pictured) is a case in point – once boats reach a certain age they loose their competitive edge, and so may change hands at tempting prices, yet still have decades of potential life remaining. The advent of lightweight but efficient electric outboard motors that can be hung on a removable bracket on the topsides, greatly simplifies leaving and returning to the dock on a boat like this that wasn’t designed with an engine. 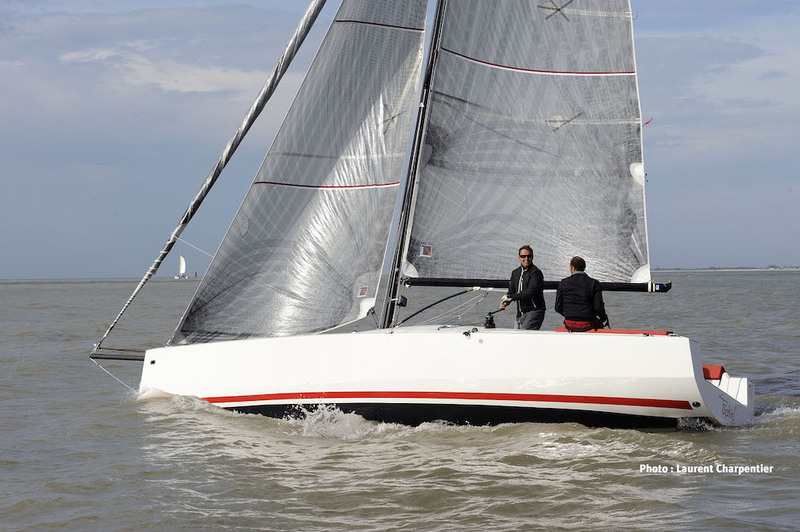 Adrenaline addicts will love the high performance Seascape 27. 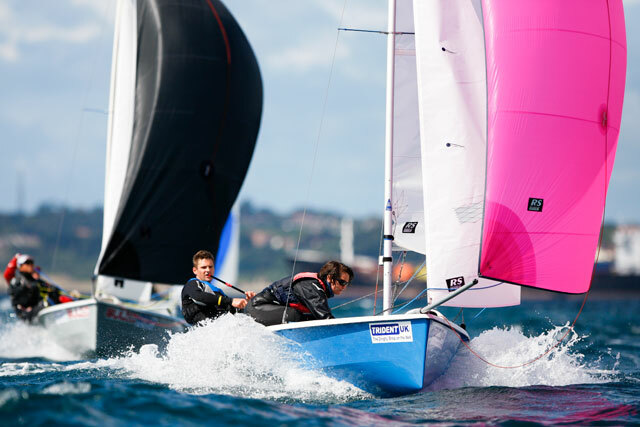 The Slovenian built Seascape range now includes three models at 18, 24 and 27ft that have proved to be enormously popular high performance trailer-sailers, with around 30 per cent of sales going to non-racing owners. The 27 sports chines and twin rudders, plus a double-spreader backstayless carbon rig and square top mainsail. Weight has been kept low, at just 1,200kg, with almost half of that figure at the bottom of the hydraulic lifting keel. Allied to excellent form stability, this helps provide a very solid feel, despite the boat’s stunning performance potential – speeds in the lower to mid teens can be easily achieved in 18-20 knots of true wind. While the accommodation can’t be described as spacious, all the essentials are provided. 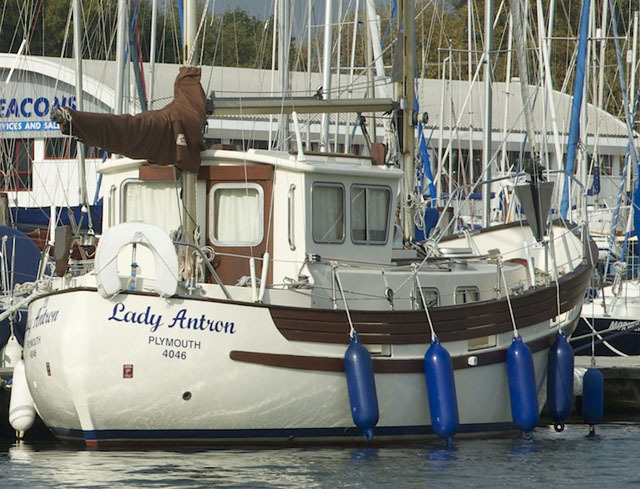 The saloon has long settees/quarter berths each side of a folding table mounted on the centreboard case, while the forecabin houses a double berth. The zone between the two has space for a separate sea toilet and further stowage. The Drascombe range was designed for minimal maintenance and easy sailing. In contrast to the Seascape the sailing performance of these 18ft open boats is very modest, but their appeal is a combination of simplicity, space for day sailing and a bare minimum of maintenance. The boat can be rigged on a trailer by one person in 15 minutes, yet there’s space for up to half a dozen people in the big cockpit and there’s no boom to sweep across their heads. 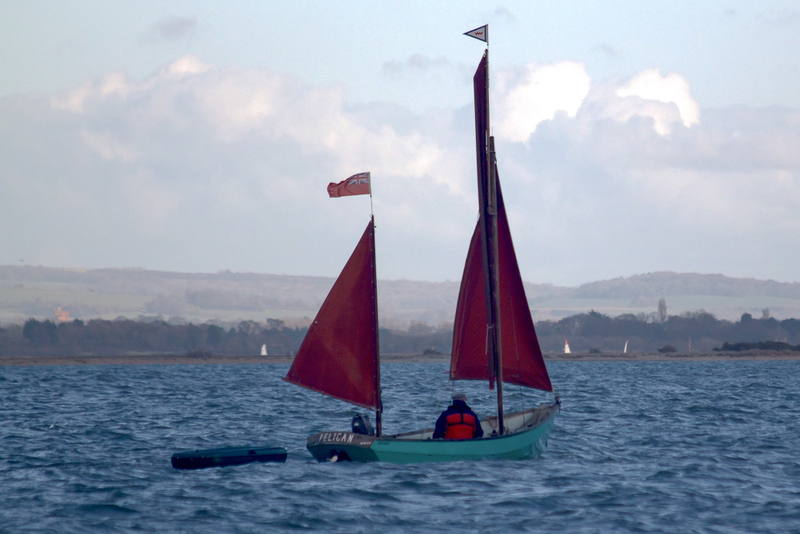 Based on the design of the local working boats, the Devon Yawl offers both competitive racing and the option of more gentle day sails. This distinctive 18ft simulated clinker design can trace its history back to the working boats in the Salcombe estuary some 200 years ago. 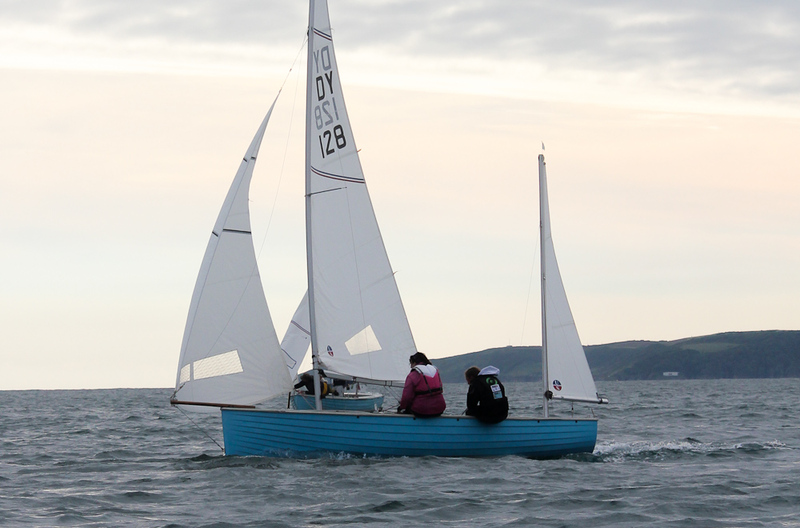 It’s raced competitively in a number of south Devon ports, notably Newton Ferrers, although there are plenty of other examples around the coast that are used primarily for more leisurely pottering. There’s also a variant with a different deck moulding that provides a small two-berth cabin. The Wauquiez Optio 9 is a high-end daysailer that makes full use of the latest materials and styling. 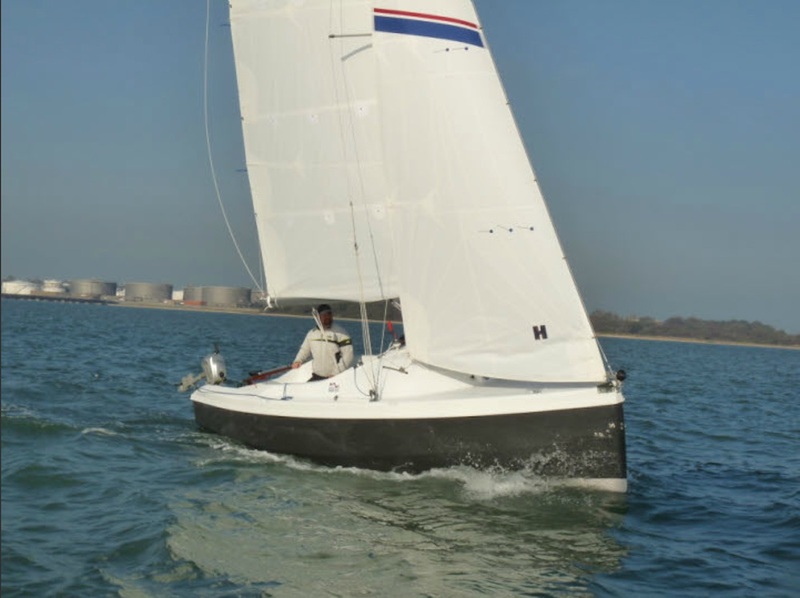 This 30ft (9m) French design has an appealing style, with sleek lines and a powerful rig. On deck creature comforts include comfortable cockpit seats that can be removed when racing. High end deck hardware is fitted as standard, as is a carbon mast, while the pivoting centerboard opens up the possibility of keeping the boat in a wider range of shallow harbours, albeit at the expense of reduced stability compared to a deep bulbed keel. The minimalist interior is designed to increase the impression of space and includes a functional galley, seating area with folding table, a separate double berth and an enclosed heads compartment. The Hawk 20 is an enduringly popular design that has remained in production for some 20 years. This 20ft dayboat is an ideal choice for those who value good performance from a well-mannered boat. The very large cockpit can comfortably accommodate a full complement of crew and there's plenty of easily-accessed dry stowage in the watertight compartment under the foredeck and in large under-seat lockers. From a safety perspective, with almost 400kg of ballast the boat is self-righting, the cockpit is self-draining and there’s ample built-in buoyancy. The Hawk is engineered to be a tough vessel and to minimise the breakages that can be experienced in the course of boat ownership. Close to 500 have been built over a period of more than 20 years, with resale values remaining high. A model with a small 2-berth cabin, which neatly complements the ethos of the original design, was launched around 10 years ago. The Hunter 20 Sport is a development of the innovative Red Fox 200, with a sportier emphasis. This development of the Red Fox 200 trailer sailer has a vast cockpit as well as a low-profile blister coach roof housing a small cabin with up to four berths. Even if few owners are likely use it to sleep overnight, it nevertheless provides plenty of dry stowage and shelter from inclement weather. 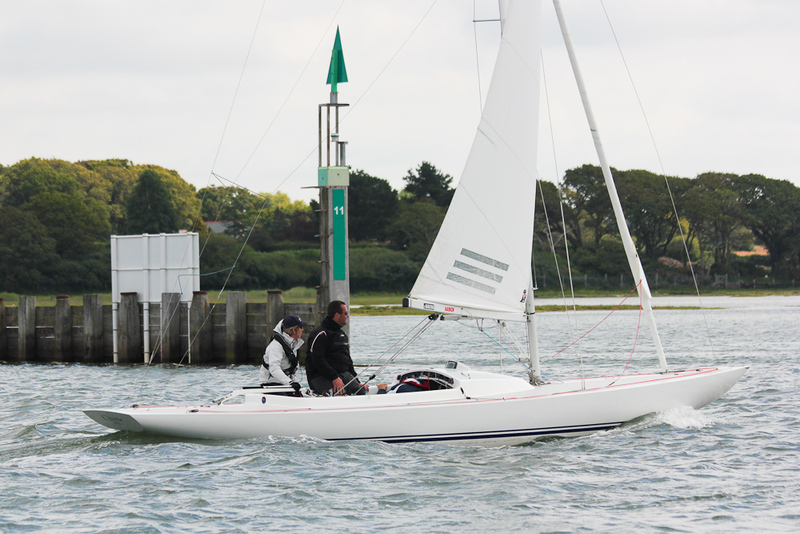 This is a boat with responsive and sprightly performance, helped by twin asymmetric dagger boards that provide additional lift when sailing to windward. 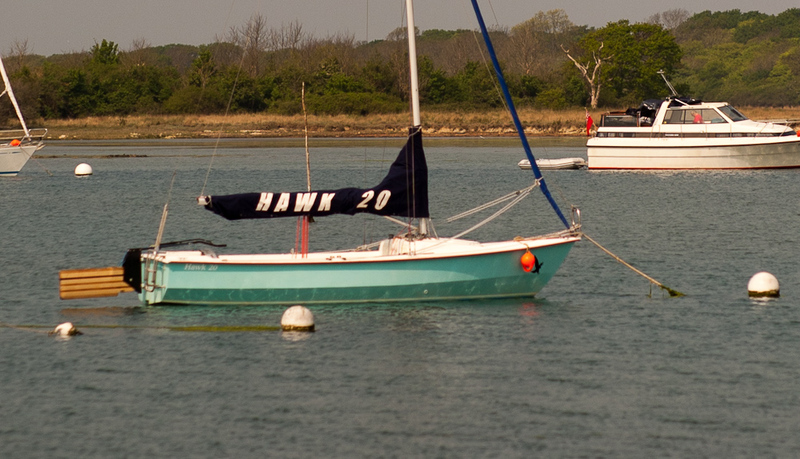 The boat started life as the Red Fox 200s, but was later re-badged as the Hunter 20 Sport following the acquisition of Red Fox Yachts by Select Yachts. Of course there are many other viable daysailers. The Jeanneau Sun 2000, for instance, is a relatively up-to-date and low-maintenance boat that combines good deck space with pleasing performance and surprising volume below deck. It was introduced in 2000 and remained in production for more than a dozen years. 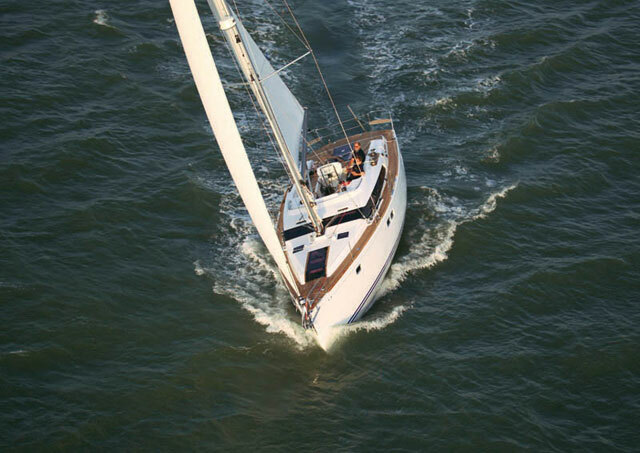 The Skipper 17 (later sold as the Eagle 525) was an innovative 17 footer originally designed in the 1970s. The cockpit has enough space for three or four adults when underway, and the small cabin provides shelter from the elements and basic overnight accommodation. The neat twin lifting keel arrangement offers reasonable performance and handling, without intruding on interior space. They can be excellent value, with prices of older boats starting around £1,500. 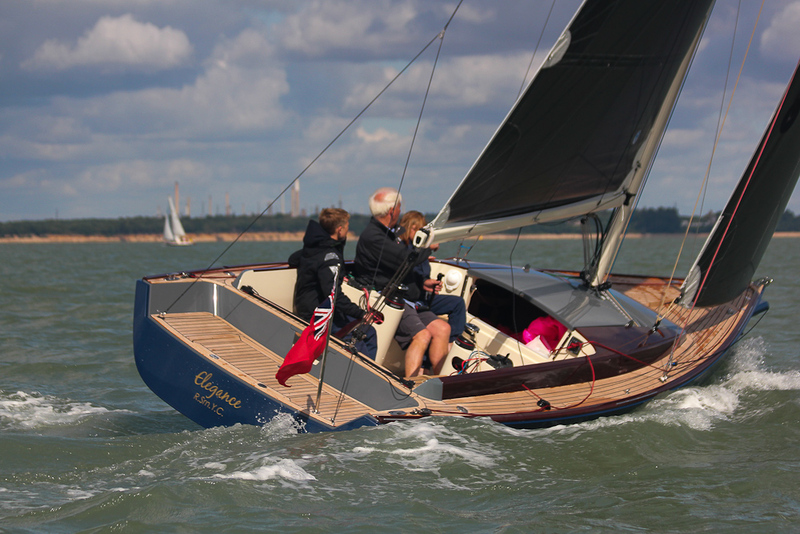 Other possible choices include the Rustler 33 weekender, Saffier 33 and Huzar 28. It's also worth checking out these six Sailing Boats for Creek Crawling and How to Choose the Right Daysailer.